My girlfriend Laura’s Mom and Grandma came for a quick visit last Sunday and we all took a trip to the Naples Botanical Garden. I was pretty excited because I have been wanting to go for a while I just never got around to it. I heard from more than a few people that it was a great place to explore and get some really cool photos. I was more than impressed when I got there, it was like photographer heaven! I am not that big on plants or flowers…I couldn’t tell you a single name of any of them. However I love taking pictures of them. There are so many different shapes, colors, patterns, and sizes when it comes to plants so they make for really awesome subject matter. Naples Botanical Garden has lots of variety too. I had no idea I could be so interested in plants. I saw plants That I didn’t even know existed all with crazy shapes and colors. 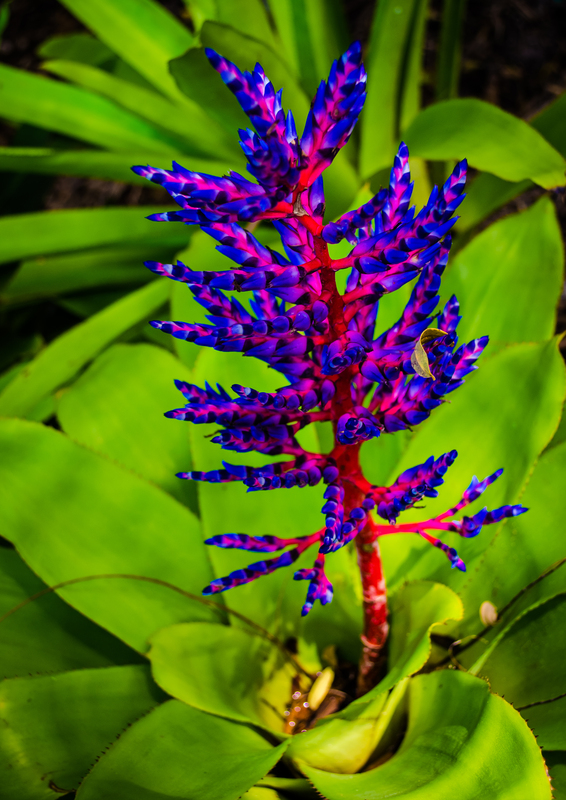 This is a type of bromeliad (don’t ask me which one you’re lucky I know it’s a bromeliad) and it was my favorite plant that we saw that day. The colors are so bright and vibrant. It reminded me of a plant that you would find growing in Willy Wonka’s Chocolate Factory. I think I will rename it the Cotton Candy Plant haha! 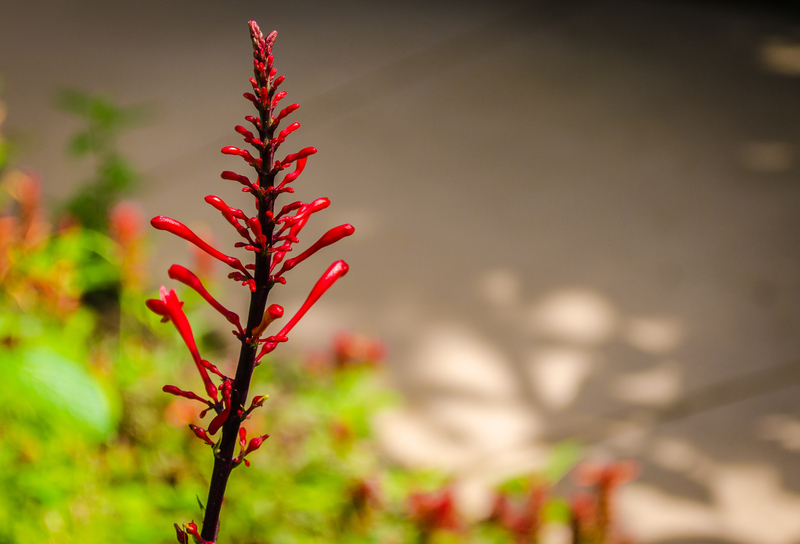 I liked this plant a lot because it is red and red is my favorite color. This plant reminds me of the lava lamp I used to have because its leaves look like red blobs. I wanted one so bad when I was a little kid and when I finally got one I was super excited because it was red and had red lava! So just another cool plant that is a bit different than you would expect. They have a butterfly enclosure with I would say about 20 or so different butterflies and all of the plants that each one likes. 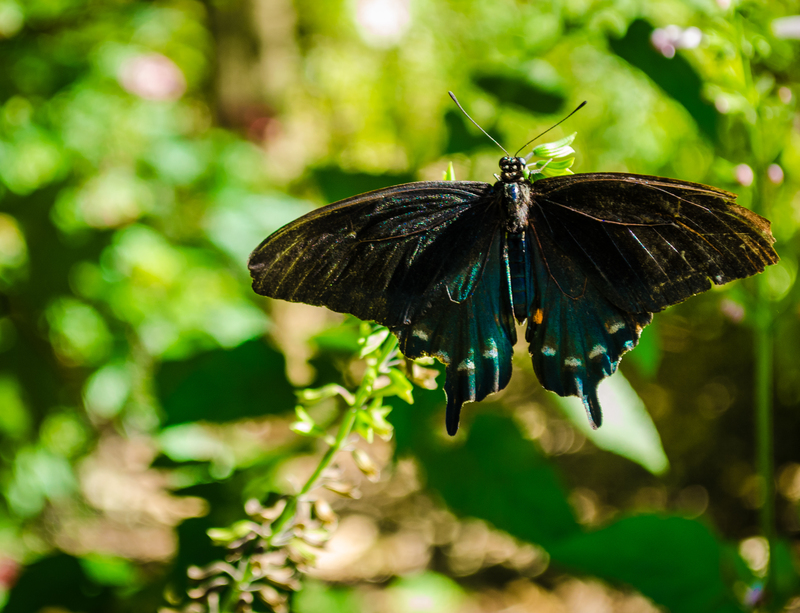 Once again I have no clue about butterflies but I love taking pictures of them because of all the different colors and shapes they come in. 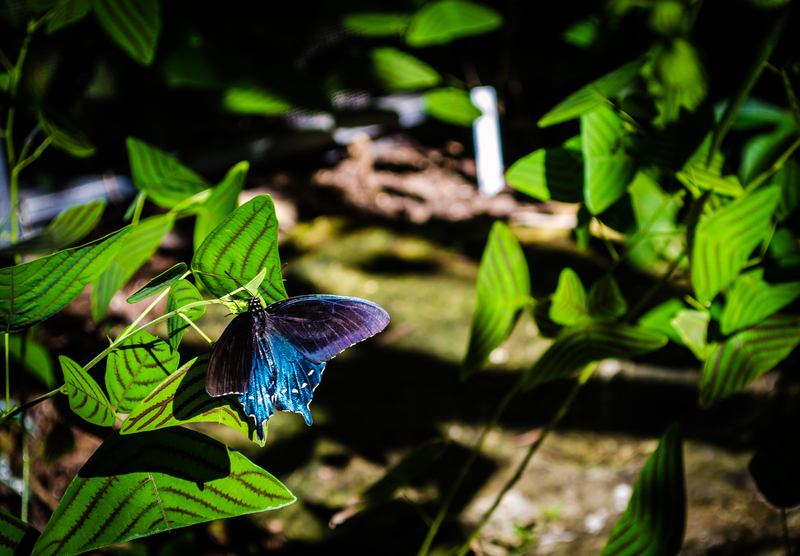 I might not know the names of butterflies but I know which ones I have seen before and there where tons of butterflies I never saw before in the enclosure. I spent a lot of time in there chasing around a bunch of butterflies to try and get a shot. All of the butterflies seemed to cooperate besides the one in the photo above. It just wouldn’t land anywhere to give me the opportunity to snap a photo of it. The first time I was in the enclosure I didn’t even get a shot of it. We wound up going all around through the different gardens and then before leaving I went back to the enclosure with the mission of getting a photo of this one before we left. I just really liked how bright and blue it was so I wanted to get a shot of it. Finally it settled down for just a few seconds and I was able to get the shot. The butterfly wound up landing on a really cool patterned plant which I think adds a bit more to the photo than if it was just on normal looking leaf or flower. 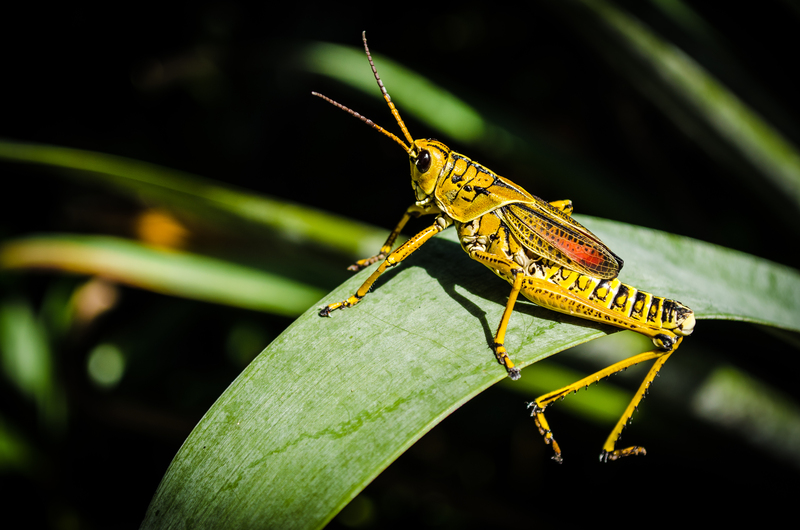 My favorite photo from the trip to the botanical garden is of this yellow grasshopper. I would have completely missed it too if it wasn’t for Laura’s Mom (thanks Mrs. Metzler!!) I wound up walking right past it but Mrs. Metzler spotted it hanging out on the leaf. It is kind of funny, it looks like it is lounging on the leaf because it was on its abdomen and its back legs were hanging off. He hung around for quite a bit and allowed me enough time to take a really good photo of him before he jumped away. 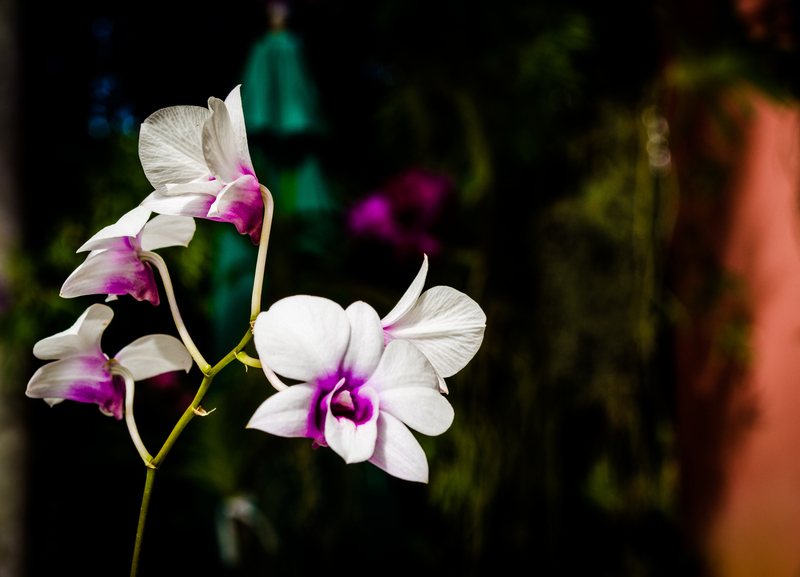 I had a great time at the Naples Botanical Garden and I want to go back soon. It was a beautiful place with hundreds and hundreds of photo opportunities. I suggest everyone go check it out if you want to see some really cool plants and flowers that you probably will not ever see elsewhere. 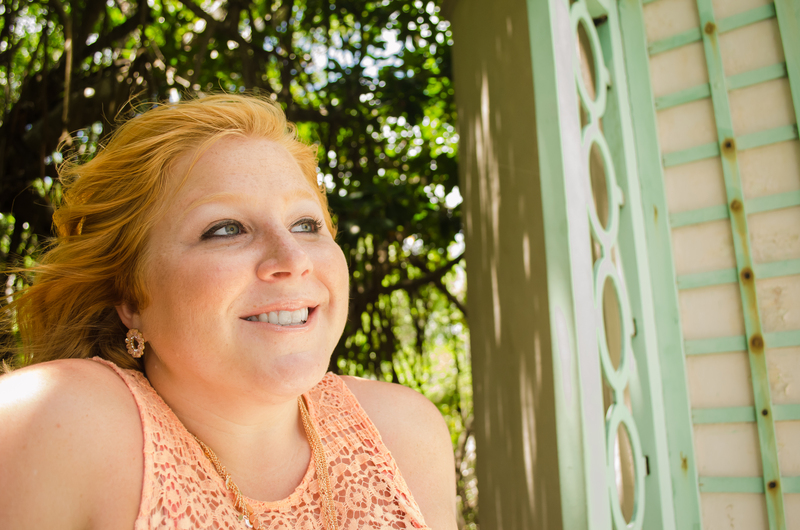 Yesterday my gorgeous girlfriend Laura and I took a trip to Vizcaya Museum and Gardens for a little photo shoot. It is the former villa and estate of businessman James Deering. It is located in Miami, Florida which was just a short drive for us. 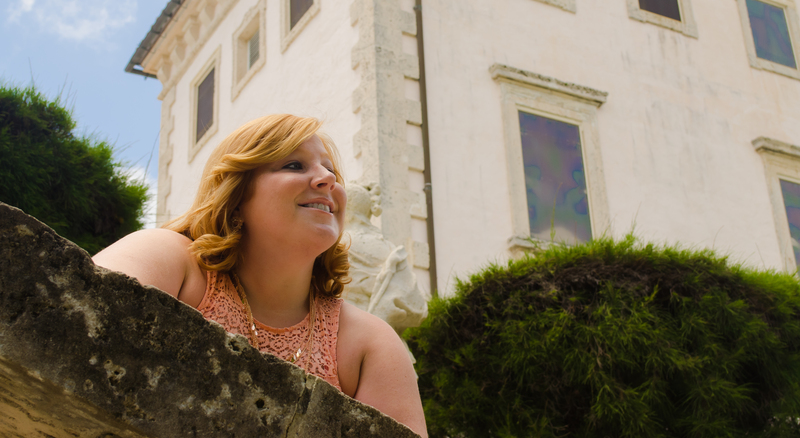 This was my first time visiting the Vizcaya estate but it certainly wont be the last. It really is a beautiful place to visit with so much to take in. Id like to go back because we were there for only about an hour and a half. The blistering hot Florida sun forced us to seek shelter back in Laura’s air conditioned car haha. Next time maybe we wont go during the summer at the hottest point of the day. Despite the heat we managed to have a really great time and I got plenty of good shots of Laura. It was a great day! These are just a few photos from yesterday. If you would like to see more you can go to my Flickr. The link is to the left on the sidebar.